I’m going to do a series of posts exploring the superbly digitized collections of the Boston Public Library, as held on Flickr. 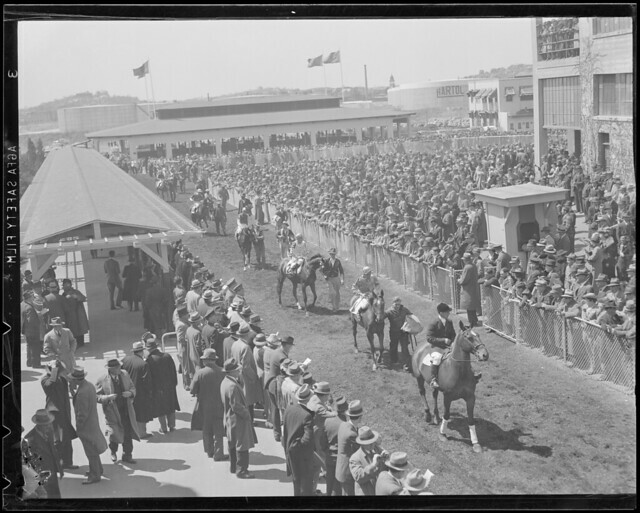 I can’t think about Suffolk Downs without feeling a pang of grief. 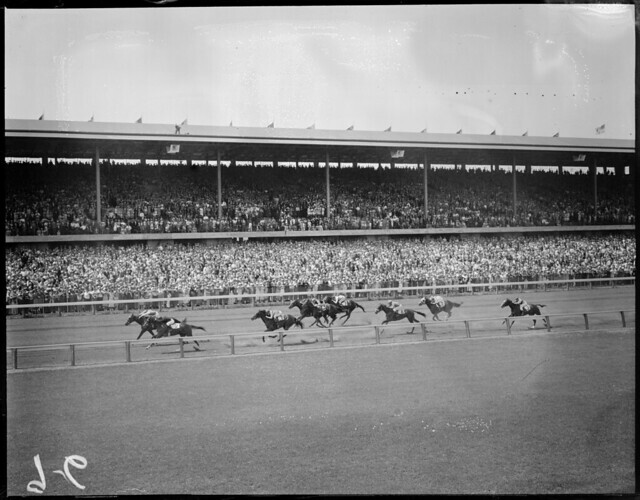 It was a grand track, a classic track, a real Boston kind of track: the sport of kings, but in a hardscrabble kind of way. 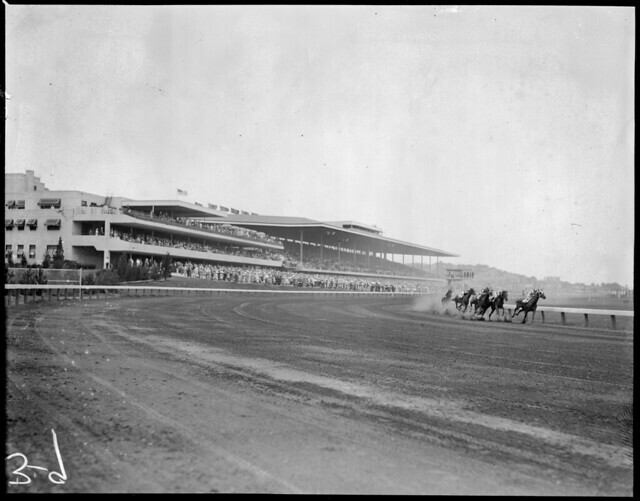 It was the place where Tom Smith discovered Seabiscuit in 1936, when the track was a year old, which is such a perfect Suffolk Downs story: diamond in the rough, champion amidst the claimers. 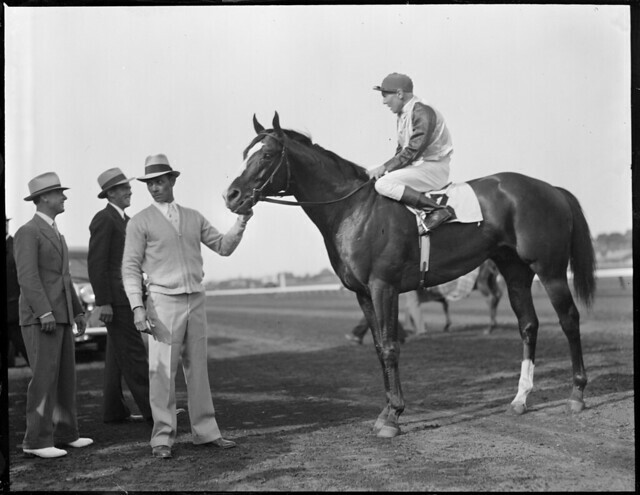 When I turned 18, I celebrated at Suffolk Downs. I could bet by myself! I brought friends and my then-boyfriend and we spent the day and I broke even. It’s a place where my two favorite things in life converge perfectly: horses and history. 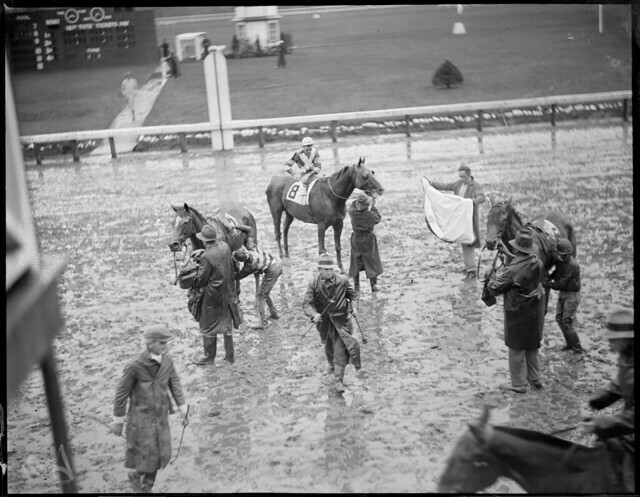 But racing and horses have been fading fast in eastern Massachusetts for the last twenty five, if not fifty, years. When I was growing up, there were a half-dozen horse farms in my town. There was a Thoroughbred breeding farm that bred for the track. 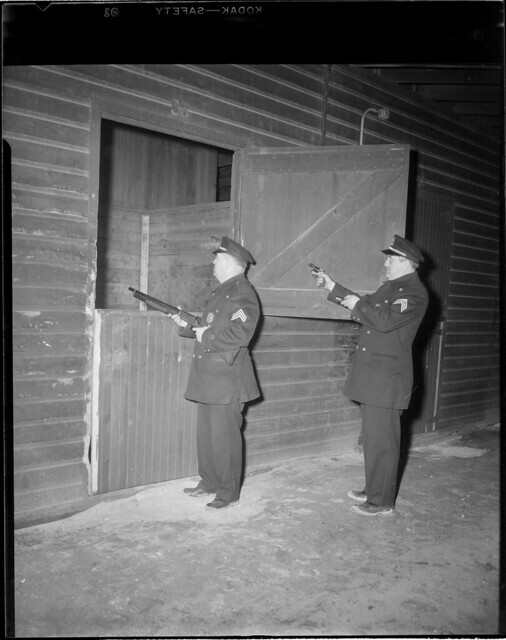 The barn I grew up riding at took in racehorses on layoffs for rehab, a half-dozen at a time. All of that is gone now, except the barn I first rode at: now it’s just a lesson barn, no rehab horses. It’s all buried under McMansions and suburban sprawl and godawful assholes driving pristine pickup trucks. 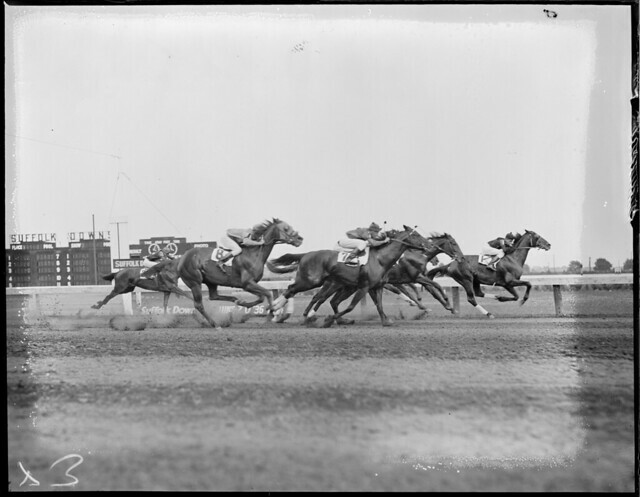 A few years ago, Suffolk Downs changed hands around the same time as Massachusetts was desperately trying to shove through casino licensing. The new owners said the only way they could make the track viable was if they were granted one of the casino licenses. They were voted down, and now the track is mostly shuttered. It no longer holds regular racing meets, settling instead for occasional days. In 2016, there were only six days of live racing. 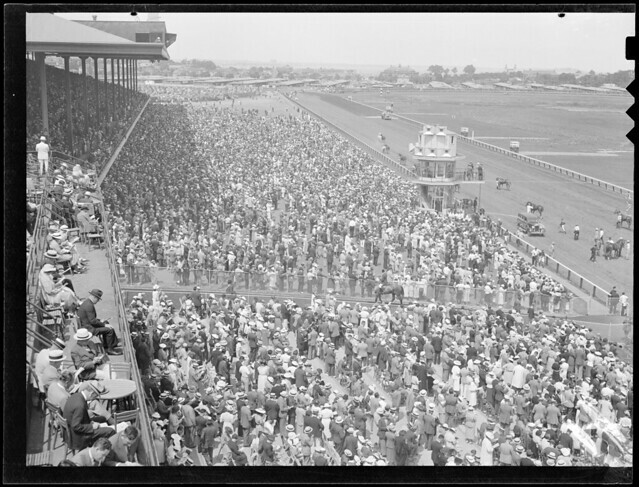 But during its heyday, when it was one of the jewels of the American racing scene? There was nothing like it. So today, I’m throwing it back to those days. 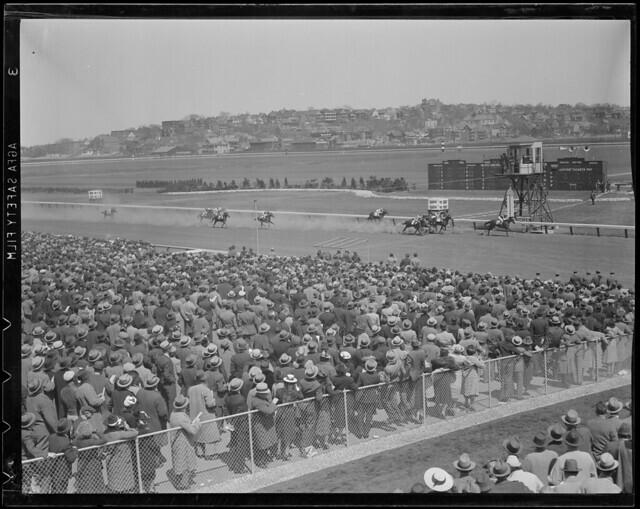 All photographs are courtesy of the Boston Public Library’s Suffolk Downs album on Flickr, They’re embedded here, so you can click on them and go see the higher-res pictures.